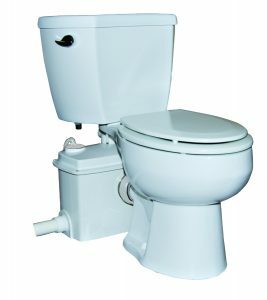 Zoeller Canada introduces their new Qwik Jon Ultima grinder tank toilet. It is an economical pump and sewage system designed for free standing bathrooms in unplumbed locations. It is also ideal for putting a bathroom in a basement where gravity flow is a challenge. The Qwik Jon Ultima is powered by a ½ HP motor and available in multiple configurations. The “never full” hardened steel cutters provide more than 70,000 cuts per minute.